Folks, Missing Sync is currently on sale for $29.95 (down from $39.95) on the Markspace.com website. However, they've agreed to knock another $5 off the price tag just for you! Let's face it - your entire life revolves around your mobile phone! On that tiny piece of glass, metal, and plastic lies a whole world of personal, critical information - stuff like photos, appointments, your favorite music, contacts, videos, and important text messages. It would be such a shame if something were to happen to it. That's why you need The Missing Sync! The Missing Sync is everything you need to transfer and sync all of your important files, media, and information between your mobile phone and your computer! With The Missing Sync, you can easily establish a Bluetooth, Wifi, or USB connection, forming a pipeline for contacts, calendars, notes, tasks, photos, music, videos and more! The best part? 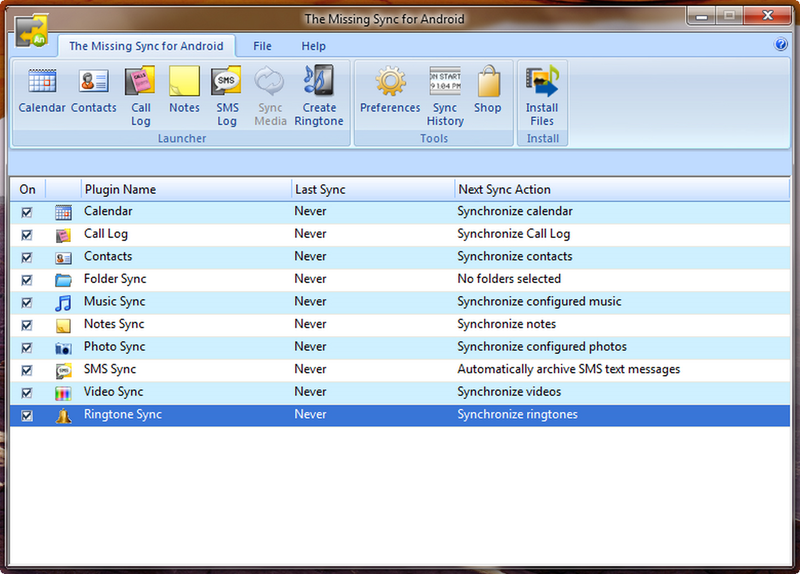 No matter what phone you own - Android, iPhone, Blackberry, Windows Mobile, Palm, Symbian, Nokia, or HTC Touch - there's a copy of The Missing Sync that's perfect for you. Never again will your entire life grind to a halt due to a lost or damaged phone! Everything, including your SMS messages and call logs, will be safely harbored in your desktop or laptop, thanks to The Missing Sync! Please note: when prompted for a registration code in the trial download, choose 'Register Later'. This will delay registration for 14 days while you try The Missing Sync out. After you purchase Missing Sync it may be used indefinitely. 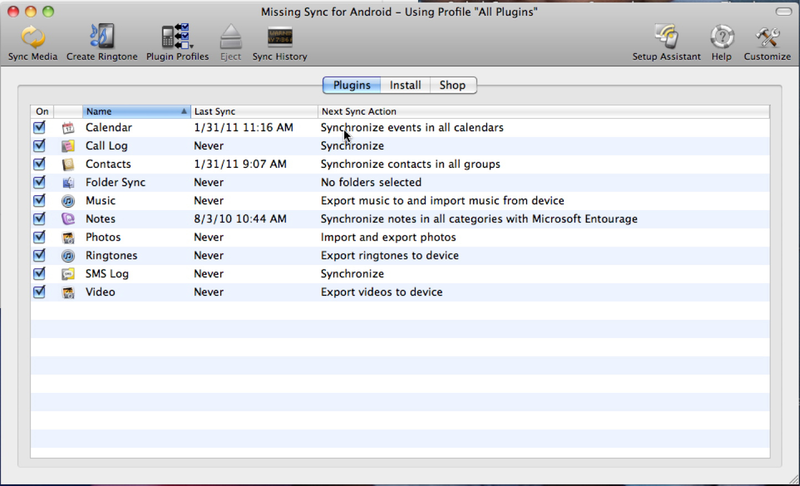 Missing Sync is licensed per user, so if more people are going to use Missing Sync you will need to purchase additional copies.